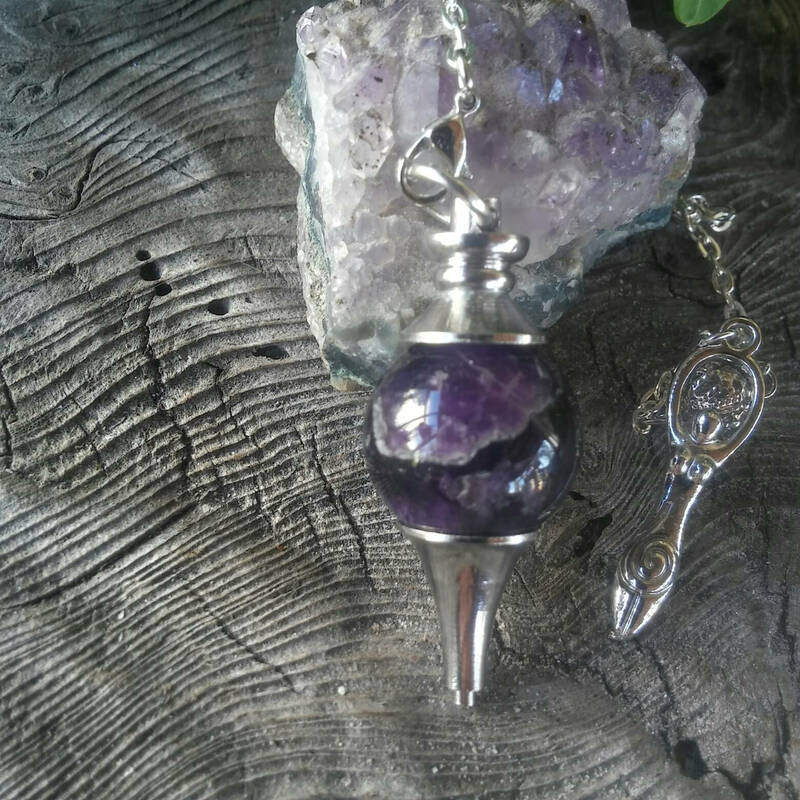 Our Amethyst ball pendulum is a stunning crystal pendulum which measures 17.8cm (7 in) chain, 23.0cm (9 in) overall and the crystal ball is 40mm with pointer hardware The Amethyst bed shown is for decoration only and does not come with pendulum. 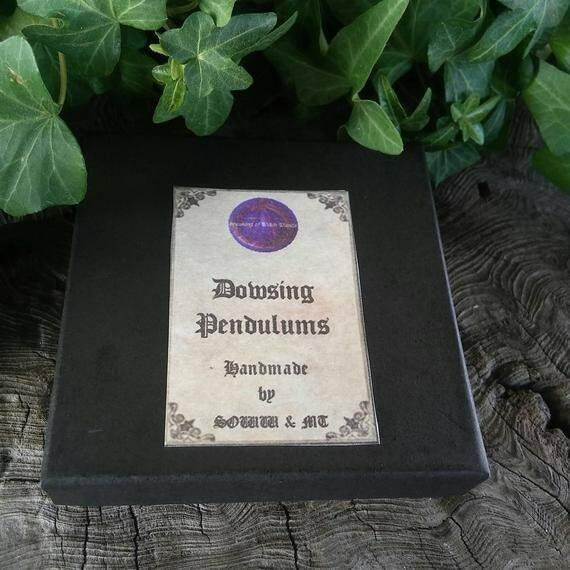 It is one of the most popular dowsing pendulums we sell. Dowsing is an ancient technique for finding things and solving problems. As well as being a great tool for locating underground water supplies, it has also been much used for health diagnosis and healing work. Also known as divining, dowsing has been vilified by the Church in times past because it empowered practitioners to gain knowledge independent from officially recognised ‘divine’ channels and to gain their own intuitions with enthusiasm (from ‘en theo’, meaning infused with the god within). 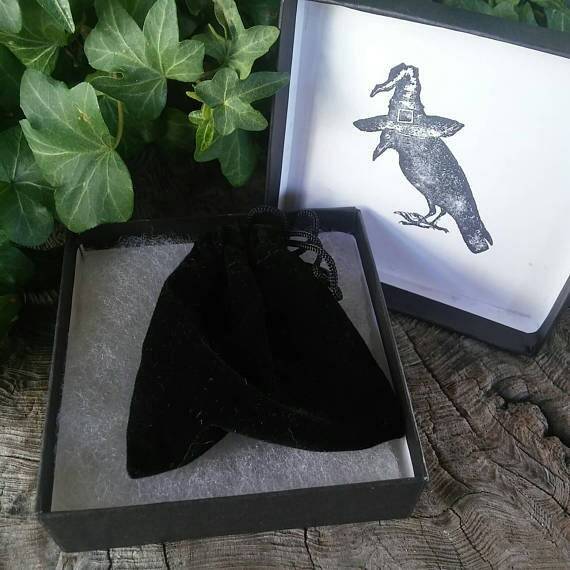 Subsequently dowsing has been technically illegal in the UK up until The Witchcraft Act was repealed in 1958. 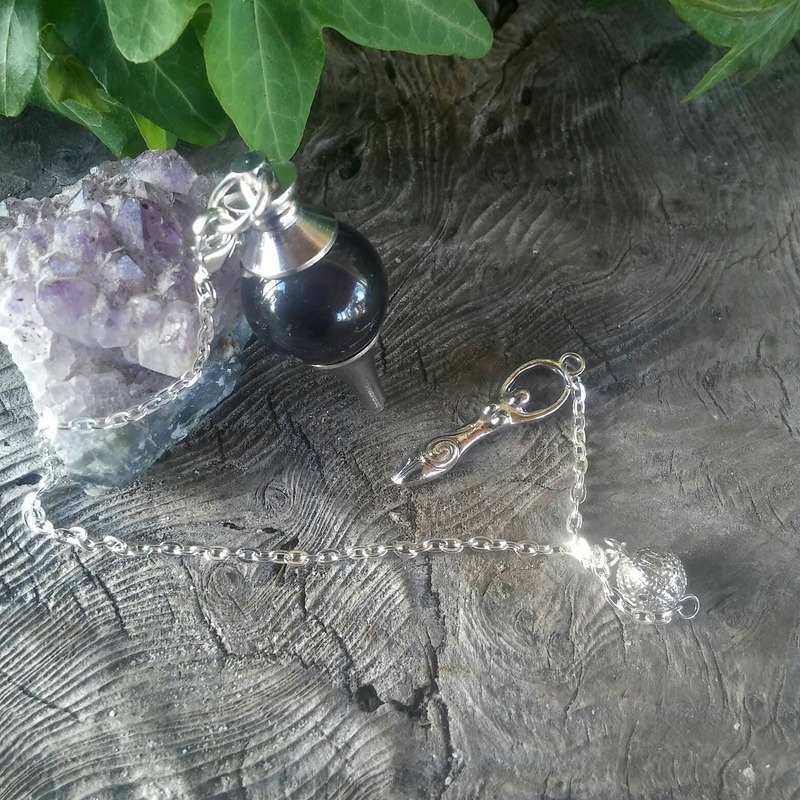 Pendulum magic has not only been used in witchcraft but by non-pagan seers as well. 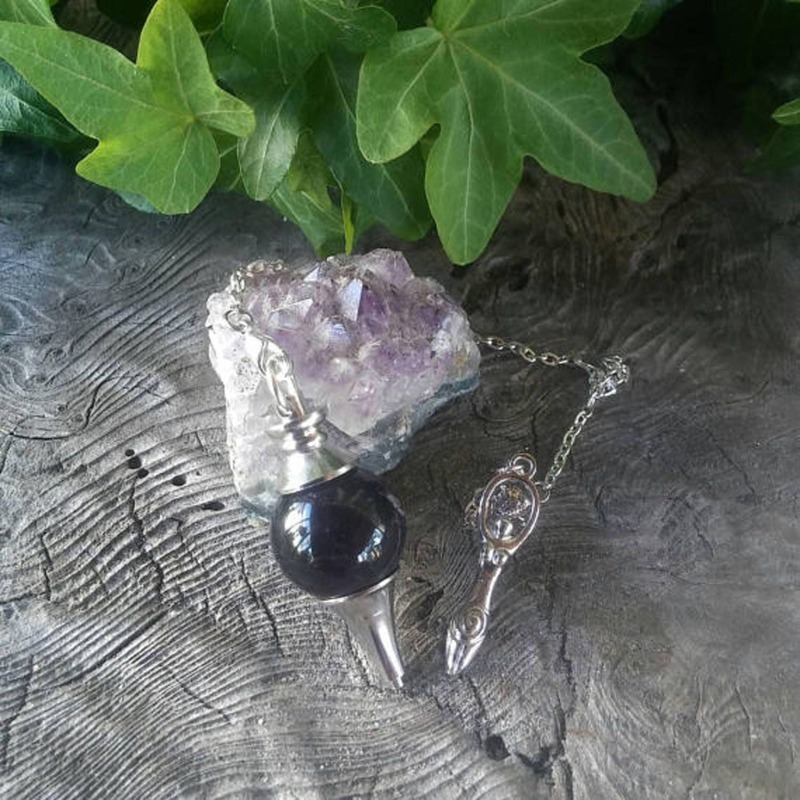 Amethyst’s ability to expand the higher mind also enhances one’s creativity and passion. It strengthens the imagination and intuition, and refines the thinking processes. It is a talisman of focus and success. 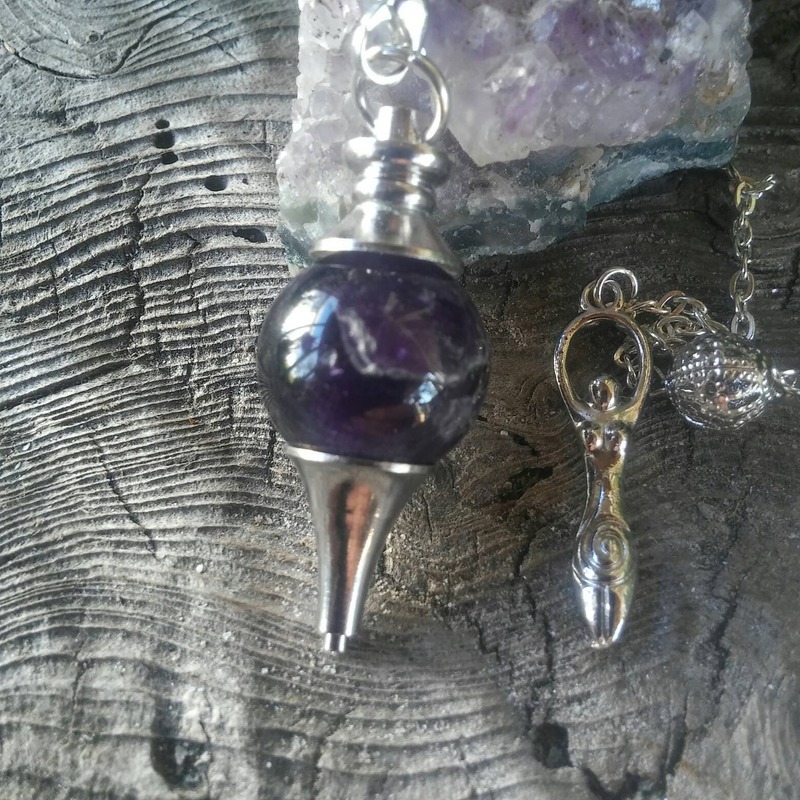 Strongly suited to both the Third Eye chakra and the Crown chakra, therefore making a good chakra pendulum. We do not claim that Amethyst can do any of the things listed above, we are only sharing what is traditionally believed of this crystal. Still, we don't repeat things we don't believe or have had experience of ourselves.